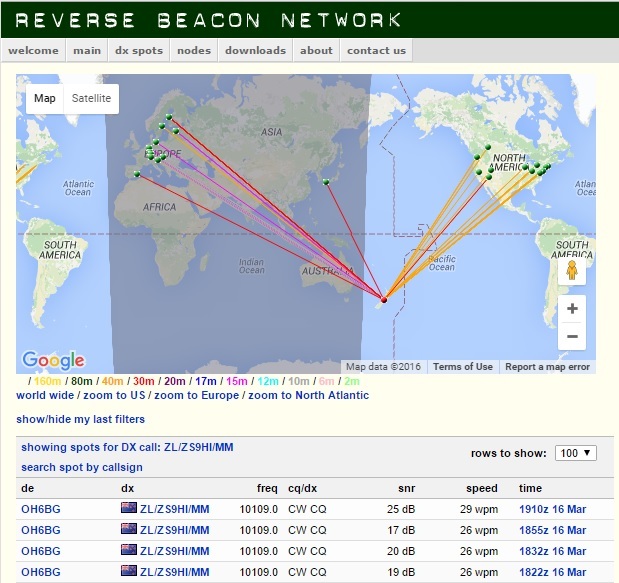 Thanks to Alex, VE3NEA for reminding me to mention the Reverse Beacon Network (RBN) and its value as a DXing Tool. This tool is actually much more useful than the DX Clusters because they consist of stations that are scanning the bands and then automatically posting what they heard. The station monitoring is listed, the DX that you set up to spot, the time, mode, code speed and signal strength. You can use this to see what is going on in the real world vs. the propagation predictions. In fact, its fun to see how the real world matches or doesn’t match the predictions. For from a pragmatic point of view – you can find a spotting station near you – and then you will know what the probability is as far as you being able to work the DX. You also can see what bands and modes were spotted and at what signal strengths. Finally, you can find out what time of day seems to offer openings to your area. A good friend of mine, Tom, N6BT and I use RBN as part of our antenna testing – its fun to try A – B comparisons and know where in the world did they hear our signal. In fact, you can even try aiming your antenna at different angles and see what the effect is. There is so much you can do with RBN – but while the Team is on their way to Heard Island – why not get used to RBN and see if it might be a useful tool in your DX Toolbox. 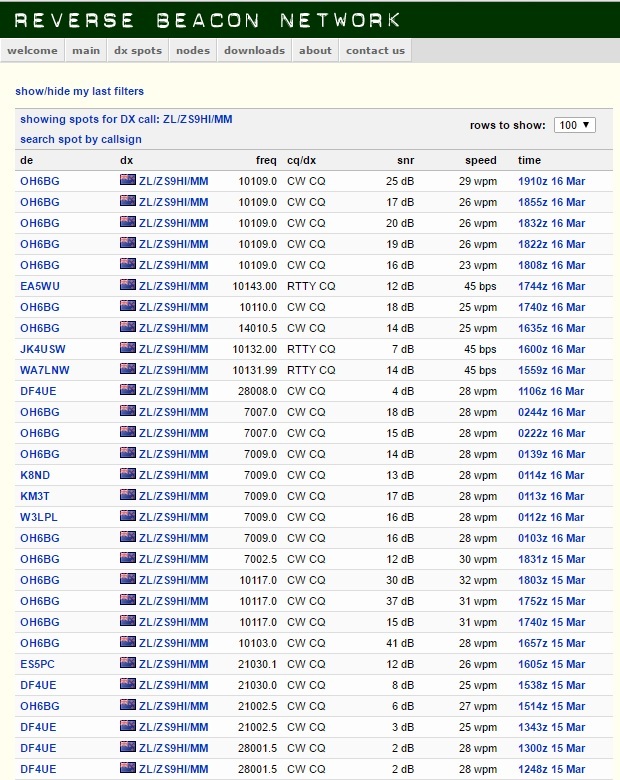 There is one last feature that doesn’t work all that well for the ZL/ZS9HI/MM call, but should be great when VK0EK is on the air – and that is – you can turn on a map of the spots listed in RBN. Now – also make sure you try to work them while they are on the boat. I did last night using 100 watts and a 2 element yagi pointed in the exact wrong direction. I was very pleased to work them as far away as near Marion Island – and propagation on 40M to that part of the world was MUCH better than when I made my only ZS8 ATNO with Team Member Pierre back in the Autumnal Equinox of 2010. They were a solid S9 and I worked them with a just a few calls – fantastic! Learning something new each day! Thank you very much, Rich!